Troy Davis: Black as Charged? Troy Davis was convicted of killing a policeman but the chief witness seems to be in the frame, most of the other witnesses have recanted, 50 states have appealed for clemency and Amnesty International and the NAACP are campaigning for him. He has always maintained his innocence but, perhaps partly as a consequence of an institutionally racist justice system , he is due to be executed in Georgia, USA on Wednesday 21st September. In Michelle Alexander’s highly recommended book “The New Jim Crow,” (referenced by Brentin Mock) the author calls up the Georgia case McCleskey v Kemp. Like Davis, Warren McCleskey was a black man facing the death penalty after being convicted of killing a white police officer. In his defense, McClesky teamed with law professor David Baldus to review 2,000 death penalty cases in Georgia. They found defendants charged with killing white people were given the death penalty 11 times more than those charged with killing black people; also, that Georgia prosecutors sought the death penalty in 70% of cases involving black defendants and white victims while seeking it in less than 20% of cases involving white defendants and black victims. No problem, you might think, US President Barack Obama can surely stop this happening? Well, so far he has remained silent on the issue. Unfortunately for supporters of Davis, Obama is in his second bid for president, which means that any call for justice for an African American would trigger a racial backlash from some voters, particularly those of the Fox-News, fear-mongering persuasion. And given the tough and divisive first term he has had, the chances that President Obama will stick his neck out for a fellow minority is close to zero. Like it or not, this is a cold reminder of how little effect a Black man in the White House has had on ending or even addressing the very real applications of systemic racism and injustices, which is manifested on a daily basis in society at large. One of the many pleas made to the Board which was particularly persuasive was from America’s exonerated death row survivors. We, the undersigned, are alive today because some individual or small group of individuals decided that our insistent and persistent proclamations of innocence warranted one more look before we were sent to our death by execution. We are among the 138 individuals who have been legally exonerated and released from death rows in the United States since 1973. We are alive because a few thoughtful persons – attorneys, journalists, judges, jurists, etc. – had lingering doubts about our cases that caused them to say “stop” at a critical moment and halt the march to the execution chamber. When our innocence was ultimately revealed, when our lives were saved, and when our freedom was won, we thanked God and those individuals of conscience who took actions that allowed the truth to eventually come to light. We are America’s exonerated death row survivors. We are living proof that a system operated by human beings is capable of making an irreversible mistake. And while we have had our wrongful convictions overturned and have been freed from death row, we know that we are extremely fortunate to have been able to establish our innocence. We also know that many innocent people who have been executed or who face execution have not been so fortunate. Not all those with innocence claims have had access to the kinds of physical evidence, like DNA, that our courts accept as most reliable. However, we strongly believe that the examples of our cases are reason enough for those with power over life and death to choose life. We also believe that those in authority have a unique moral consideration when encountering individuals with cases where doubt still lingers about innocence or guilt. One such case is the case of Troy Anthony Davis, whose 1991 conviction for killing Savannah police officer Mark MacPhail rested almost solely on witness testimony. We know that today, 20 years later, witness evidence is considered much less reliable than it was then. This has meant that, even though most of the witnesses who testified against him have now recanted, Troy Davis has been unable to convince the courts to overturn his conviction, or even his death sentence. Troy Davis has been able to raise serious doubts about his guilt, however. Several witnesses testified at the evidentiary hearing last summer that they had been coerced by police into making false statements against Troy Davis. This courtroom testimony reinforced previous statements in sworn affidavits. Also at this hearing, one witness testified for the first time that he saw an alternative suspect, and not Troy Davis, commit the crime. We don’t know if Troy Davis is in fact innocent, but, as people who were wrongfully sentenced to death (and in some cases scheduled for execution), we believe it is vitally important that no execution go forward when there are doubts about guilt. It is absolutely essential to ensuring that the innocent are not executed. 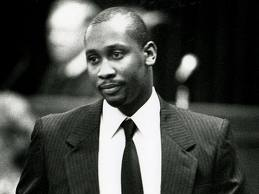 When you issued a temporary stay for Troy Davis in 2007, you stated that the Board “will not allow an execution to proceed in this State unless and until its members are convinced that there is no doubt as to the guilt of the accused.” This standard is a welcome development, and we urge you to apply it again now. Doubts persist in the case of Troy Davis, and commuting his sentence will reassure the people of Georgia that you will never permit an innocent person to be put to death in their name. Update 21/09 – At time of writing, nearly three hours after scheduled execution, Troy Davis is in the execution room waiting …. Update: Troy Davis’ last appeal was rejected and the lethal injection began at 10.53 pm. He died at 11.08 pm.